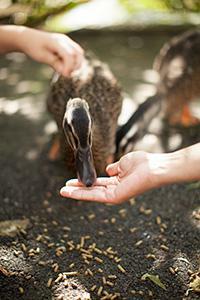 See over 100 domestic ducks at the main lake. One shiny quarter almost guarantees you the following of a handful of hungry feathered friends. Enjoy a paddle boat ride in the main lake for a water's view. A fun walk-in area where visitors both young and old can feed and pet African pygmy goats of all ages. You may be lucky enough on your visit to actually see a goat (or two!) being born. 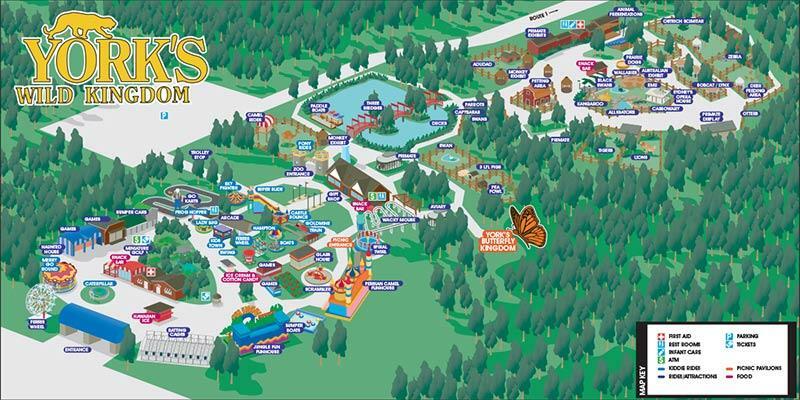 Specific food can be obtained inside the petting zoo; at the zoo concession stand and at the film and stroller booth near the zoo entrance. Our goats are not shy! Be prepared once you enter the petting zoo because manners are not their priority... getting their mouths on some food is! This is one of the areas that kids talk about long after they leave. Our Deer Encounter contains fallow deer, a wild European species found in 5 different color variations. Animal food dispensers are located inside the area and just outside the gate. These deer are friendly and love to eat. Watch closely because sometimes they eliminate the middle man (you!) and try to eat directly from the feeders. Fallow bucks grow new antlers every Summer. Since there are very sensitive, we ask all visitors not to touch them.